Archives of Eaton Bray News for May 2012. It was a Sunday like no other; in fact it was exactly like every other Sunday. There was the obligatory 'I'm too hung-over' phone call. This week it was Matt Ringsell who claimed to have eaten something dodgy in between around 20 pints at Trent Bridge. Scott Hemming answered the call by proclaiming 'Yeah alright me old china don't mind if I do, lovely job' and so the Sunday team were off from the spiritual home of cricket, the car park at the social club and on to Haddenham. For those of you not aware of Haddenham, it has a rather decent claim to fame as the village has served as the backdrop to several Midsomer Murders episodes. Back to the cricket, Eaton Bray batted first with Mark Parrot and Louis Peek opening the days play. Louis Peek struggled and was on his way back to the pavilion early with a Bronze Duck. Josh Peacock joined Parrot and the 1 and 3 Batsman looked to build a nice partnership. The pitch was difficult to judge with little to no bounce, there were some short balls bowled however which got 1 to 2 inches off the floor. It was one of these shooters that was the undoing of the opener and Parrot had to settle for a score of 13, which included 3 fours and many run 1s and 2s (so who was scoring!!!). Josh was then joined by the returning Jake Barker followed by the crafty cockney Hemming but both were quickly on their way back to the pavilion. Ryan Peacock was next out at 6 and joined his younger brother, as the two steadied the ship and built a good partnership. Ryan looked to push singles whilst putting josh back on strike and he did the damage with a score of 71 before losing his wicket to a ball which never got up above his shoelaces. Ryan went on to bat for a not out score of 23 and was assisted by two pinch hitters in the form of Adam 'the big AMH' Harvey and Adam 'Holby City' Holbrook who helped push the score up. Eaton Bray went in to lunch 164-6. Lunch was good and it was here we all missed Olly Wilson as we had to make our own cups of tea. It was in to the changing rooms for designer sunscreen, some encouraging words from the skipper and a good bit of banter. 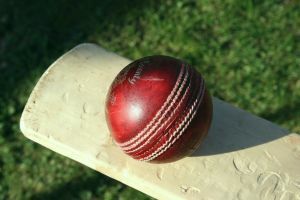 It was hoped the Bray Bowlers could take advantage of the pitch as the Haddenham bowlers had. It was a welcome sight to see Charlie Tickle back with the Bray and he was electric on his return. The bray also benefited from the superb early season form of Harvey and Jones with great spells to really help halt the run chase from Haddenham, with notable fielding contributions from Paul Davies (including a run out!!!!!!!!!!!!!!!!!!!!!!!) and Louis Peek along with some good work behind the stumps from Mark Parrot the Bray were certainly keeping this one close. It would take a huge effort in the field too and the Bray didn't disappoint all round but as the overs wound down Haddenham CC reached their target with just a few balls remaining. To wrap it up it was a disappointing and frustrating loss as the pitch, which Haddenham definately knew how to use, a short boundary and searing heat making things difficult. In truth it will be a good lesson for us all going into a long season. Lots of positives and recent weeks have proved that we are definately going in the right direction. On International Missing Children's Day (25 May) a new free helpline (116 000) and website (www.missingkids.co.uk) will be launched to help the hundreds of thousands of children who go missing every year, reconnect to a place of safety, bringing together the combined efforts of the Child Exploitation and Online Protection (CEOP) Centre, Parents and Abducted Children Together (PACT) and Missing People. The confidential helpline - 116000 - is a 24 hour support service which missing children and their families can call or text to get access to advice and support. The latest appeals on missing children; information for children who are missing or who are thinking of running away; and information on what their families and carers can do if a child in their care goes missing. Both initiatives are a response to the Government's Missing Children and Adults Strategy, launched in December 2011. The launch of these new services will be the focus of a formal Downing Street reception on Wednesday 23 May. Hosted by the Home Secretary, Rt Hon Theresa May, supporters and campaigners will be joined by key organisations and celebrities in order to raise awareness of the plight of thousands of children who go missing every year. The launch of the 116 000 helpline, provided by Missing People, will be supported by a TV, cinema and outdoor advertising campaign by creative agency BBH, which has been made possible thanks to the generous support of ICAP, Cinema Exhibitors Association and the Outdoor Media Centre and its members. On 25 May, hundreds of London taxis will raise awareness of missing children with appeals in the back of their cabs organised by PACT, including for Andrew Gosden, who went missing in September 2007 at the age of 14. He was last seen at London's Kings Cross Station. The new www.missingkids.co.uk website, brings together a range of support services connected to helping missing children, including educational materials developed by CEOP. It is part of their work in providing a dedicated national lead on missing children, announced by the Home Secretary in 2011. The launch of the website is being supported by an outdoor advertising campaign organised by PACT that will include bus shelters, where young, missing children may well see the important messages around these vital support services. In the lead up to events surrounding International Missing Children's Day, Home Office Minister Lynne Featherstone met with young people to hear about their experiences of running away and going missing. During a visit to The Children's Society in Islington last week, she met with the teenagers, who have been supported by the charity's work around the country. As part of the Government's continued commitment to providing support for families of missing children and adults, the Home Office continue to provide grant funding to support delivery of the charity's helpline and case publicity work. This has been £220,000 during this financial year. "Missing children and their families are vulnerable, and International Missing Children's Day reminds us of the role we all have to play in protecting and supporting them. "Government has set a clear direction for this with our Missing Children and Adults strategy, calling on local and national organisations to prevent, protect and provide support for missing children and their families. "I am delighted to be marking this year's event by supporting the launch of two excellent support services which will offer real support to children who need it." "By the very act of going missing, children are made more vulnerable to abuse and exploitation. Getting timely and relevant help and information to missing children and their families is a vital part of safeguarding those most vulnerable. The new website and help line do just that by providing the channels for them to reconnect to a place of safety. "As the national law enforcement lead for missing children, it is important that CEOP continues to better understand the reasons why children go missing and work with the child protection community as a whole, to help them find help to deal with the often complex underlying issues in their lives, ultimately reducing the incidences of missing children in the UK." "Disappearances such as Madeleine McCann's tragically demonstrated the need for coordination across the world when a child goes missing; 116 000 is introduced so that people can call when someone disappears regardless of which EU country they are in. The launch in the UK has been made possible by ICAP." "With over 140,000 children going missing in the UK each year – more than one every five minutes – PACT is delighted with this major breakthrough. With the re-launch of the Missingkids website, and CEOP's taking responsibility for and abducted children, we finally have the tools to bring hope to those whose children have gone missing or been abducted. "The important thing now is to raise public awareness of the website. This is why, thanks to the support of ICAP Charity Day, PACT is producing hundreds of posters. It has also commissioned a fleet of specially branded black cabs to drop off and pick up guests at a No. 10 Downing Street reception to mark International Missing Children's Day, to be hosted by the Home Secretary, the Right Hon Theresa May"
After most players packed several jumpers for what is usually a rather cold game away to Studham; it turned out to be a glorious day atop the Studham mountains. A fantastic tea followed. Harv stated 'this is possibly the best toffee sponge I have ever eaten' also special mention goes to Olly Wilson for making 9 cups of tea during the interval. Hawkeyes loss is most definitely our gain. There it was City had won the title in dramatic fashion, this also meant it was time for the Bray to get out there and bat. Jacko and Mark Parrot opened the batting in what was looking like a tough run chase. Mark Parrot went without facing a ball in a run mix up, diamond duck being the unlucky label obtained by the newcomer. Jacko went on to clobber runs in typical fashion as Josh Peacock joined him at the crease. Batsman 1 and 3 top scored with 28 and 45 respectively with other notable contributions from Olly Wilson (15) and Adam Harvey (17). The Bray just simply didn't get close. The last 5 Batsmen went for 1 run collectively. A well beaten Bray Team will have to take this one on the chin and except we were all a little rusty better to come next week hopefully. You may remember that last year's Open Gardens Festival took place on the wettest day of 2011 – a day of torrential rain. We can't promise a better forecast, but we certainly hope for a pleasant sunny afternoon this year. This is one of the social events of the year in our villages. Come and join other like minded people in a tour around the villages to see some beautiful gardens. As well as gardens from last year, which many people would have missed because of the rain we have at least four that have never been opened to the public before. Roving tickets, providing access to all the gardens, can be obtained from Eaton Bray Village Hall from noon on 10th June, priced £5 – children go free. In the hall, as well as refreshments, toilets, and a substantial plant stall, you will find an exhibition of art by local artists and there will be musical entertainment, again by local musicians. Given reasonable weather this is a great afternoon out. Do come and join us! If you are a local artist who would like to display your art please contact Kay Griffiths. Deep in the Chilterns on Sunday, the Bray Sunday XI won, what can only be described as a nailbiter vs HC Trotters. Bray called up youth cricketer Fil Davies, due to Chelsea fan and alcohol lover Harv pulling out last minute, in a frantic phone call to Peacock, where he entertained him with puking up whilst on the line! It was "agreed" that Bray would bat first, and after welcoming 1st team skip Norris into the team, it was hoped that a large total would loom. How wrong we were. At 41-4, some would deem a gentleman's agreement where one team bats first as utterly stupid, of which I would agree... BUT! There was to be some joy, as captain Peacock was joined by keeper Alden in a mammoth 5th wicket partnership of 142 that rocketed the run rate along as both enjoyed an outing in freezing weather. Alden who was doing his best to intoxicate the skipper when chatting between overs, was eventually out for a typically beligerent 66, which included 10 4s and 1 six. This brought in the introduction of Portugal's finest cricketing export and possibly the most optimistic runner in world cricket Fil Davies, who scored his first senior run for the Bray but was unfortunately dismissed shortly before tea, the innings closing with Peacock junior registering his first century of the season (104*) helping to get Bray up to their total of 214-6. After eating what might have been the most expensively made tea in history, Bray were put under the cosh early as the HCT openers raced to 40 from 7 overs, until Peek had Wolfenden for extra pace, caught behind for 23. Both bowlers kept things tight enough but with Jones readily available, (he had been stretching for extra cakes all through the tea break), it seemed that if a carrot could be dangled, that the HCT start could be disrupted. The thought process worked, and Jones dangled his carrot, returning excellent figures of 4-28 from his 8 overs. There was even talk of a Sunday afternoon trip to the Mango Lounge in Amersham! There was though, one boy standing at fine leg, doing his best to get a bowl. Fil Davies announced himself to HCT taking the wicket of Jonwood to spark wild celebrations and birthday bumps all round (it wasn't his birthday but he felt like a rockstar). There was one small problem left to deal with however, who would the Bray's 6th bowler be? The scoring was well up with the asking rate and someone was needed. Well, of course Davies snr was an option, one to sneak a few cheeky wickets, maybe buy the tequilas? Unfortunately, he had pulled his thigh, so the ball was thrown to Ringsell (he was as surprised as you, the reader) but he stepped up, and in occasionally bowling very straight, returned career best figures of 3-28 to swing the game in the right direction, with Trotters finishing 207 all out. A great effort by the team, which if can be maintained, will kickstart the Sunday XI's quest to improve on last season's efforts! Bedfordshire Police will be supporting the national Walk to School Week which runs from Monday May 21 until Friday May 25. Members of Local Policing Teams will be attending a number of schools across the county to talk to students about the importance of road safety awareness, reinforcing key personal safety messages and also assisting some schools that operate walking buses and park and stride schemes. Richard Denton, the Children & Young People Development Officer and School Coordinator for Bedfordshire Police said: "Whilst this type of work is undertaken throughout the year we would like to use this week to ask parents, guardians and careers who need to drive their children to school to try and park away from the school in a safe place and walk the last few hundred yards as this may help stop traffic congestion and potential collisions outside schools. "We will also be using this week to reinforce key personal safety messages to students walking to school to help them keep safe." Keep both hands free and don't weigh your-self down with lots of heavy bags – you need to be able to move easily. If the player above doesn't show, you can listen to this interview on Audioboo, and see Penny's Olympic Torchbearer profile on the London 2012 website. 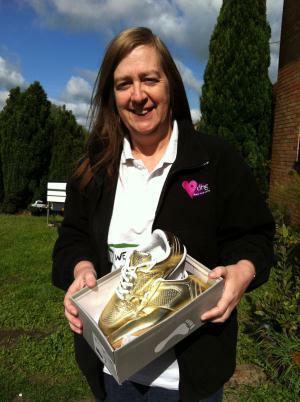 To support the charity Penny works for, see the Down's Heart Group website. Central Bedfordshire Council's superfast broadband plan has been given the green light from the Government. This will mean massive investment in improved broadband infrastructure to improve connectivity and services for residents and support business productivity and growth. Central Bedfordshire's Local Broadband Plan will be partially funded by £620,000 from the Department for Culture, Media and Sport's Broadband Delivery UK team, with over £1.2 million being invested by the Council and Central Bedfordshire Together (the Local Strategic Partnership) to improve broadband services. Under the plan a minimum of 90% of all premises would have access to superfast broadband (defined as being at least 24Mbit/s). The Local Broadband Plan will also aim to ensure that all premises in Central Bedfordshire have access to a minimum broadband service (at least 2Mbit/s) and increase the choice of broadband services and suppliers of services for local residents. Cllr Richard Wenham, Deputy Executive Member for Corporate Resources at the council said: "We are delighted that the Government has given us the go-ahead to proceed with our superfast broadband roll out. This is an important step and we are focused on delivering the plan. It demonstrates our commitment to improving local infrastructure. We have already done a lot of preparation, which has been informed by what our residents, businesses and public sector partners in Central Bedfordshire have told us, but there is still time for people to contribute to our online broadband survey, and register their interest. Rolling out superfast broadband in Central Bedfordshire will have a number of major benefits for the area. It will mean improved access to services for our residents and strengthen the local economy through supporting local business resilience, growth and innovation." The Council will now move forward to procure a private sector infrastructure partner and secure additional private investment into Central Bedfordshire. The Local Broadband Plan has been developed in partnership with Milton Keynes and Bedford Borough Councils with Central Bedfordshire. Some better weather meant that the under 12's were finally able to play their 1st game, away at Henlow. Skipper for the first game, Jack Vincent won the toss and had no hesitation in putting the home side in. Thomas Rainbow got things off to a fine start claiming the first of his 2 wicket's in his 1st over. Only a massive no ball with both feet past the crease prevented him from taking 3 wickets. Karl Shrowder also opened the bowling with and also took a wicket in his first over. There were wickets too for Cameron Summers and Jack Vincent. While Ryan Else, Matty Tubby and Jack Vincent all had run outs. Jack's coming off the final ball of the innings. Eaton Bray bowlers all bowled well, there were (ahem) a few wides (22), and some curious fielding positions. but team spirit in the field was excellent. Special mention too for Fil (Motor mouth) Davies for a fine display with the gloves, conceding not a single bye, keeping the boys going too with his constant chatter. Henlow's batters came out with some lovely strait bats (which this coach enjoyed), however at times they struggled to get the ball off the square. Eaton Bray's innings started in frantic fashion, with the opening pair of Thomas Rainbow and Fil Davies constantly risking being caught or run out. Isaac Rainbow and Riley Drummond steadied things, they only lost 1 wicket. And through some extra's and some good blocking they advanced the score by 5 net runs. Cameron Summers and Matt Tubby both batted well, neither losing their wicket and by the time they left the wicket Bray were only 4 net runs behind. Louie Giles and Ryan Else also combined well, and by the time the last pair of Karl Shrowder and Jack Vincent went out to bat, the scores were level. A run out off the 2nd ball of the 17th over, put Henlow back in the lead. A couple of fours from Karl Shrowder, tipped the balance back once again. Another wicket brought Henlow back into it again. But another 4 from Karl pushed Eaton bray over the brink. Captain Jack blocked the last over, thus ensuring a 10 run win. A very tight enjoyable game with both teams scoring 74 runs, the difference being Henlow losing 2 more wickets than Bray, showing just how tightly matched and easily the game could have gone the other way. So an excellent performance for a new, inexperienced team, with some good team spirit shown. There is plenty to work on, but this was a good start. Your hero or heroine can be factual, fictional or even imaginary! race lines before 1.15 – parade time 1.30 p.m. at the Maypole rings. 2 Trophies will be awarded in each category. 12.10 Maypole dancing: join in, lots of fun for everyone! Hertfordshire and Bedfordshire Police are appealing for information following the illegal poisoning of two rare red kites less than a mile apart in the Chilterns. The RSPB is offering a reward of £1000 for information leading to a conviction. In January 2012, Hertfordshire Police assisted by officers from the RSPB recovered a dead red kite just south of the village of Hexton. The bird had been found by a member of the public out with her young family close to a public footpath. 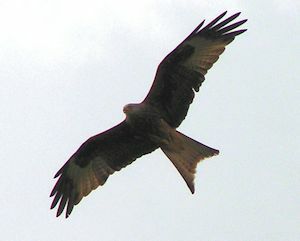 In March, following a second report from the public, officers from the RSPB recovered a second dead red kite hanging in a bush less than a mile away on the Pegsdon Hills Nature Reserve which is run by the Bedfordshire Wildlife Trust. Subsequent toxicological tests confirmed both birds had been poisoned with a highly toxic banned pesticide. It is suspected both birds had been feeding on carrion placed in the countryside and illegally laced with the chemical. On May 2, 2012, Hertfordshire and Bedfordshire Police, in conjunction with officers from Natural England, the National Wildlife Crime Unit (NWCU), Trading Standards and the RSPB, undertook a search in the area including a number of outbuildings. A number of samples were taken and will be submitted for further toxicological tests. Sergeant Jamie Bartlett from Hertfordshire Constabulary's Rural Operational Support Team said: We are appealing to anybody who may have more information about the deaths of these birds. The use of poison in these circumstances is highly irresponsible and indiscriminate. The pesticide used is highly toxic and the potential for injury to members of the public or their pets could have been high. "We take matters such as this very seriously and urge people to come forward with any information that could assist us to progress this matter. Working with various partner agencies in this case is proving to be very useful." Guy Shorrock, Investigations Officer with the RSPB added: "The reintroduction of red kites has been a fantastic success story and the expansion of the population into Hertfordshire and Bedfordshire has allowed more people to see these amazing birds. Unfortunately, every year we get tragic incidents like this. Illegally placing poison in the countryside puts wildlife, domestic animals and potentially members of the public at risk. We would urge anyone with information about this or other wildlife crime to contact the police". Anyone with any information is asked to contact Sergeant Jamie Bartlett on the non-emergency number 101. Alternatively call Crimestoppers anonymously on 0800 555111. You do not have to give your name and you could be entitled to a cash reward. Do You Know Where Your car Keys Are? Bedfordshire Police are reminding residents to take extra measures to ensure that they don't become the victims of car crime. For most people, a car is the most expensive possession that they own and for this reason it is important to take steps to combat car theft and reduce the chances of being a victim of crime. Number plates are also a target for criminals who then attach them to their own vehicles to commit offences like the theft of fuel from filling stations that are covered by CCTV. Bedfordshire Police regularly hosts 'Your Number's Up' events where tamper-proof screws can be installed to vehicles free of charge thereby reducing the threat of theft. Residents are also being urged to register with the UK National Property Register at www.immobilise.com where they can log any items such as mobile phones, computers, bicycles, appliances and jewellery. Immobilise will record serial numbers and also allows the user to upload pictures and a brief description of the item. The Immobilise database is linked directly to a number of police systems across the UK which makes it easier for officers to trace the owners of any recovered items as well as identifying items that have been found on suspected criminals. Another measure that residents can consider is security marking their property with Ultra-Violet (UV) pens or chemical DNA marking solutions which can also be used on jewellery. If you have information relating to any burglaries or vehicle crime, please contact Bedfordshire Police, in confidence, on the non-emergency number 101, or text information to 07786 200011. Will one really wet month make the drought go away? The recent downpours of heavy rain have provided some welcome relief for farmers, gardeners and the environment in our drought-hit region. In fact, this April has been the wettest for almost 100 years. Unfortunately, though, our groundwater resources, which make up almost half of all the drinking water we supply, take longer to replenish. 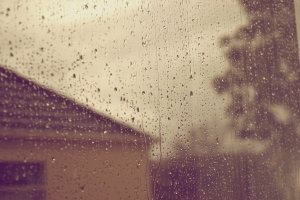 Seeing rain stream down the window and the swollen rivers, it's hard to believe there can still be a shortage of water. But after such a long period of dry weather we are going to need more than a few wet weeks to cancel out the deficit caused by many months of below average rainfall. "We operate in the driest part of the country and have to carefully manage water resources to ensure we have enough for our 4.2 million customers. "Up until the end of March, we had experienced the driest 18 months for 100 years, only receiving between 60 and 80 per cent of the rainfall we normally expect." "This exceptionally dry period spanned two winter periods during which reservoirs and rivers would normally refill and recover." What happens when it rains, where does the water go? After a lot of rain the rivers look a lot higher, but this change only lasts as long as the rain does. Anglian Water captures a lot of the rain that flows into the rivers, and pumps it into reservoirs. Most of these are recovering well following the recent rainfall – but reservoirs only supply half of the drinking water we need in our region. The graph below shows just how much below average rainfall we have had in the past few years compared to what we would normally expect. Around half of the drinking water we supply comes from ground water sources, such as wells and boreholes. These are holes drilled into the ground into layers of permeable rock which hold water. These layers of rock (aquifers) recharge very slowly and so are less affected by small fluctuations in rainfall. After a long dry period, it can take some time for the ground to soak through before rain can filter down to the rock. Aquifers are normally replenished between October and April, but sadly because the last two winters have been so dry, replenishment has been very low. Of the water that soaks into the ground some is used by plants and some evaporates, instead of soaking into our aquifers where we need it. The recent heavy rainfall has led to some recharge in shallow aquifers but the response in deeper aquifers will be slower and will take another year to recover fully. In some areas, the rainfall needs to travel down more than 50 metres before it reaches the water table. To find out more about drought and ground water resources see Who, What, Why: How much rain is needed to ease the drought? 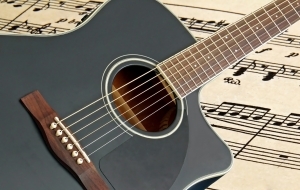 We are looking for local acoustic musicians to take part in the Music Festival which is again to be a part of the St Mary's Open Gardens Day on Sunday 13 June 2012. There will be a PA system and keyboard provided if necessary. All music must be live - no backing tracks allowed! If you would like to be considered for a half hour slot, please contact Barbara Morton. You are viewing the May 2012 archive.